I have added two new projects to my portfolio Stop Thief! and Battle Line. These are very different projects stylistically but both happen to be games projects. If you are looking for a games artist you may like to go over to my other site which is focused entirely on art for games. Roland's Revenge Games. Some of the other projects on the site have also been refreshed. Check back soon as there is more on the way. 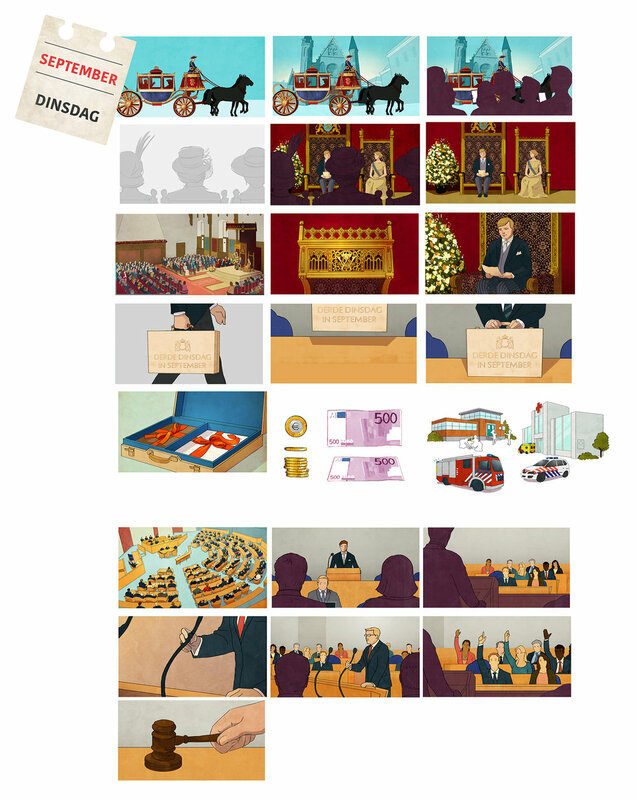 This set of frames was recently completed for a short animation project for the Dutch Goverment via KonaCoast. It was a fun project with an opportunity to try out a style that suits this short animation assignments. Delivering the story with style.